Yesterday, I got an email from one of my Six Month Mentor students. He’s doing very well in his business and wanted to know how to get it to the next level. I started writing and found I was going a different direction than where I originally thought I was going. It speaks to how to design your business and life in a way that serves you best. What does your entire business look like? 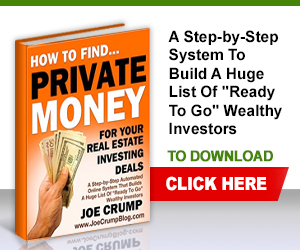 I know you have the for rent method automated in several markets as a cash flow system in your business. 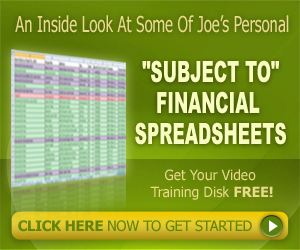 What other income systems do you have set up? i.e. rentals, wholesale, rehab, commercial etc. I would like to know because I want to expand my vision and obviously I want to model after you. I have become more stable at the for rent method in my current market and am approaching closing a deal a week (that feels sooo good) where as before it was 1 every other month. I’m obviously working on closing more& more deals every month (I’ve realized the key is more marketing). Nice! There is a huge amount of comfort in getting it to be consistent. It also let’s you move into other areas of real estate, business and your own personal interests. 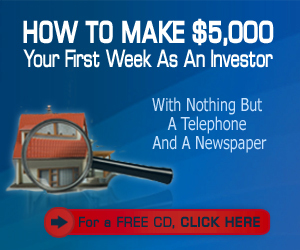 You’ve found the secret to making money – more advertising that works. As Peter Drucker said, “The only two profit centers in business are marketing and innovation. Everything else is an expense.” You don’t make money from trading property, you make money by bringing in more buyers and sellers with good marketing strategies. Everything else you do is just giving value for what you are paid. I think this is a great plan. 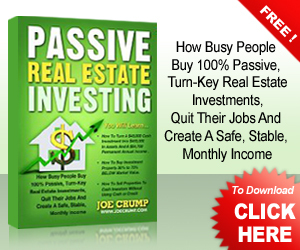 We can start talking about keeping some of those properties on the next call – because with the model you are using – the for rent method – you can also convert many of those properties into long term passive investments. 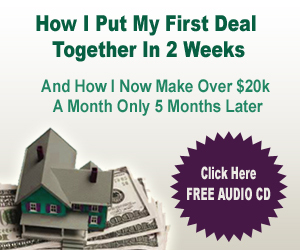 What is your average income per deal – and how many hours per week are you currently putting in to each deal? 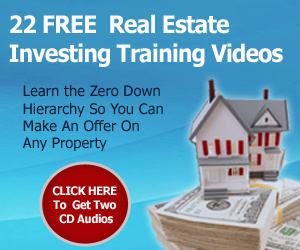 But i want to be able to visualize an entire real estate business like yours so I can know what all I can “aim” at as an all around great business. 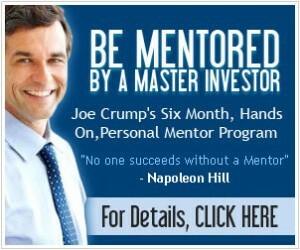 So what all income streams do you have set up? It will be hard to model my business because it has grown over the past 20 years or so in different kinds of markets. Some of what I built is not easy to duplicate today – or would not be something I would do again. Some that I built has used money that I’ve made – cash – to build something that can’t be built without cash. Eventually you will have more money than you need to live – and that will make it possible for you to start investing the cash you earned (but don’t use bank or hard money loans). AND – what I’ve said many times before – if you can’t make money with NO money, you sure can’t make money with money. NOW – since you’ve learned to make money with no money, you will be more competent making money with your money – but be careful. Whenever you invest money, you have the greatest chance of losing money. Anyway… before you get into new investing techniques, I believe the first thing to ask yourself is what do you want your life to look like? Then, build your business around your concept of a good life. How much do you want to work? Where do you want to live? Who are you sharing your life with and what do you want to give to them? It’s not about making money. It’s about designing a life. And sometimes, you won’t know what you like until you try it. There are things that I really don’t like doing and I’ve built my business around not doing them. There are some other things that made me uncomfortable – and so I avoided them and thought that I was doing the right thing. BUT, it’s not always smart to avoid things that make you uncomfortable. Sometimes, after a while, you get good at things you don’t like – and you can find some joy in them or satisfaction. It also makes you able to take greater risks when you take chances like I have taken. When you fail a lot, you start to discover that most failures aren’t disasters. The only real disaster is when you lose someone you love. Every other failure can be recovered from… if you don’t die, that is. 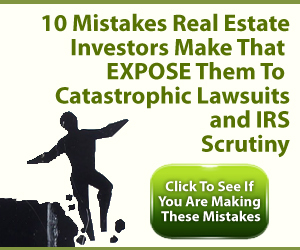 Fortunately, there aren’t too many things in real estate investing that kill you. So, start with the questions about how you want to live. It’s not enough to say, I want to be rich – because that, by itself, won’t make you happy. And I’m not saying that money doesn’t make you happier – it does. But there are many things I would not trade about my life for money. As Thoreau said – “Live deliberately” Keep your eyes open and pay attention – we have just a short time here. I’m quoting dead poets – sorry about that… and all you asked was my business model. But maybe that’s what this is – a model for my life and my business and it’s never finished… or at least I hope it never will be. Let’s talk technique on the next call. And start moving forward with your expansion of your business – it’s a good plan and will lead you to a lot of other things… like learning how to extract yourself from the business more and more (since you only have so many hours to expand into). Joe I read this and been thinking the same way. We just got a lead on a house that’s in foreclosure. The owner must of had it listed on Craigs list. I received a call from Paula an agent that is helping the owner out. She was asking me questions about lease 2 own and how it works. I asked her are you looking to do Lease2Own or do you have a house you want to sell with Lease2Own.. she then told me that the home is in preforeclosure and the owner wanted to rent it out. This opened the door for me to speak to her about having the home deeded to me. She contacted the owner and he said yes. This is another house I can rent out once I have the deed. 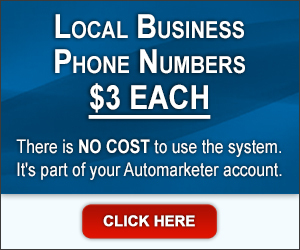 Anyway is there anyway I can create my own marketing campaign using the Auto Responder. I want to run an Ad something like. and looking to get into one with Lease2Own. 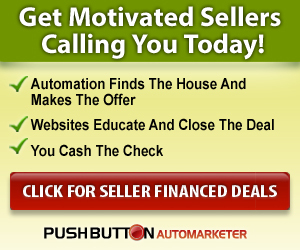 Hi Steve, You can create any campaign you want to leads in the Automarketer with voiceblasts and text blasts. You can only send out one type of email to those initial leads. You can write any autoresponder series you want to leads that come in through the system – the autoresponder is a different function that the automarketer. The instructions on how to do this are in the autoresponder help file on the site. Excellent commentary Joe! The reason we get into this business is to become financially free, so ultimately we can live the life we choose.